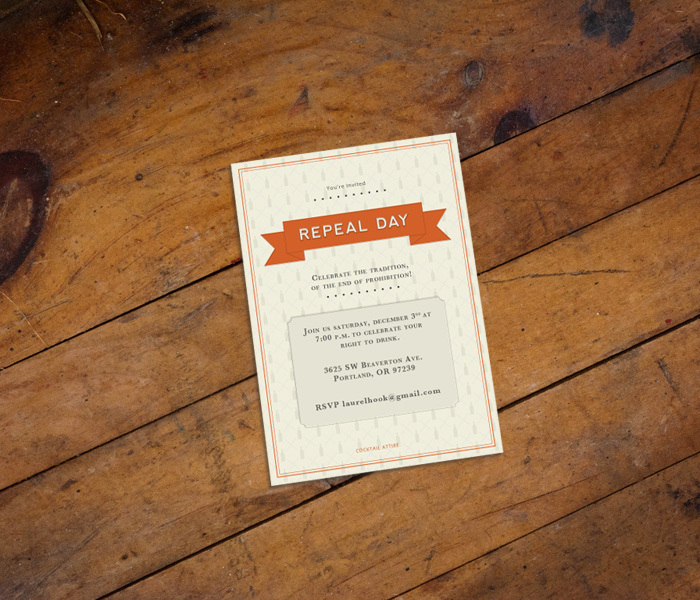 These invitations were designed for a client’s annual Repeal Day party, a party celebrating the end of prohibition. 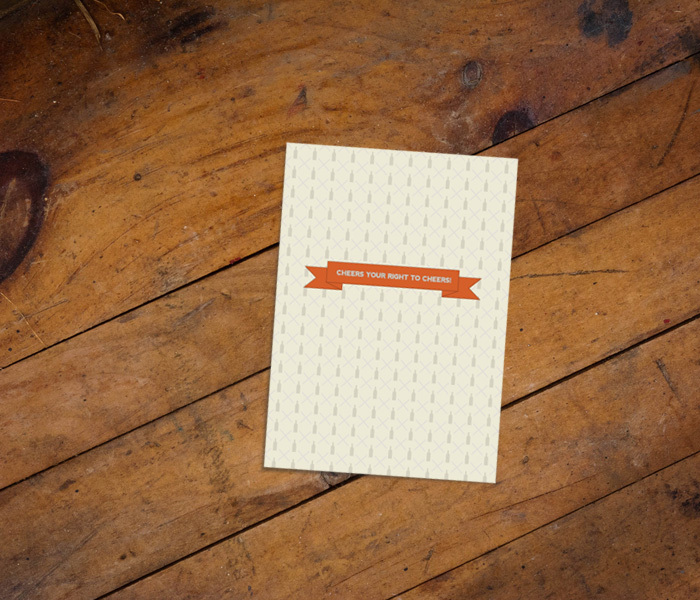 The client wanted an invitation with a youthful, yet vintage feel. My solution was an understated invitation that included a deep orange banner, two line border, subtle bottle pattern and traditional serif font. Copywriter William Kelley authored the clever sayings on the card.